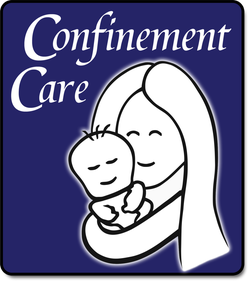 Confinement Care focuses on helping mothers to recover during their confinement (post-natal) period. Our approach is driven by our integration of Traditional Chinese Medicine expertise and Western biological knowledge. Confinement refers to the distinctive lifestyle that a mother adopts for a set period following child birth. In Chinese, this period is known as 坐月(zuo yue) or 坐月子 (zuo yue zi), and its' literal translation is 'sitting-month'. "How can I practice confinement in Sydney?" Confinement Care has put together some resources to help you plan and practice confinement in Sydney or other cities of Australia. If you live in Sydney, you have access to our range of comprehensive confinement support. Go to our [Services] page.